This article is part of IPS coverage on the International Day of Rural Women, celebrated on October 15. LIMA, Oct 12 2017 (IPS) - In a remote village in the Peruvian Andes, Bonificia Huamán managed to overcome adverse weather conditions with a small greenhouse, where she grows vegetables at 3,533 metres above sea level. This has improved her family’s diet, which she is very proud of. The downside is that Alina, her second-oldest daughter, aged 17, left school before finishing high school to help her with the enormous workload that as head of household she assumes every day on her farm and caring for her family. She supports her three daughters and son, as well as her oldest daughter’s son. “School costs a lot of money, uniforms, school supplies, I can’t afford it,” Huamán, 47, told IPS sadly during a meeting with her and other women farmers in Llullucha, home to some 80 Quechua families, within the rural municipality of Ocongate, in the southeast department of Cuzco. 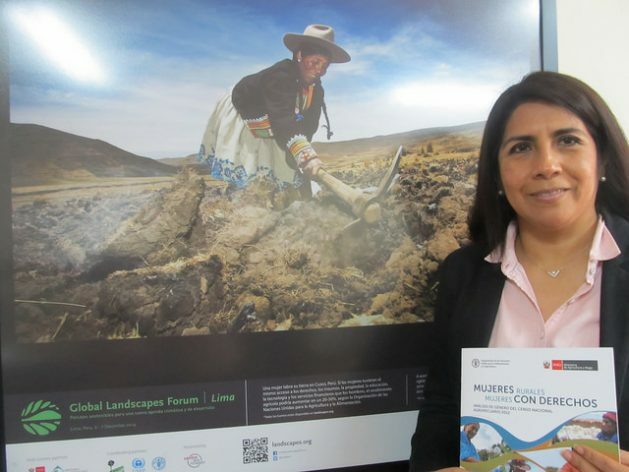 “This is a reality for rural women in Latin America, in the face of which governments should act with greater emphasis in order to move towards sustainable development, which is a commitment undertaken by the countries of the region,” United Nations Food and Agriculture Organisation (FAO) representative in Peru, María Elena Rojas, told IPS. As October 15, the International Day of Rural Women, nears, access to quality education, productive resources, technical training and participation remain challenges shared by rural Latin American women to close the persistent gaps in gender equality and realize their full potential under equal conditions. “Rural women, women with rights” is the theme of the regional campaign promoted by FAO on the occasion of this international day established in 2008 by the United Nations, the day before World Food Day. The initiative, which will run until November, is in line with the Sustainable Development Goals (SDG), and specifically goal number five, which refers to gender equality, although the question of equal opportunities for men and women cuts across the other 16 as well. It is estimated that in this region of just over 640 million people, 48 percent of the rural population is female, amounting to 60.5 million women. Of these women, 40 percent live in poverty, a problem that has been aggravated by the effects of climate change on agriculture, which impact on their health, well-being and security, according to FAO studies. In spite of their work – on their farms and raising children, securing food, and caring for the sick – they receive no pay and lack incomes of their own, the studies point out. 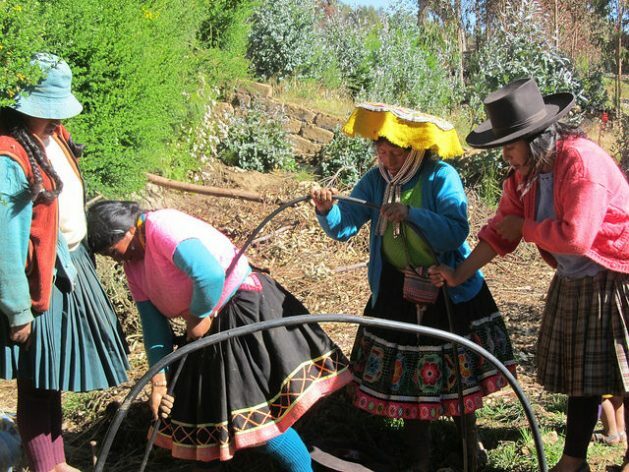 Bolivia, where 1.6 million women live in rural areas, according to the National Institute of Statistics, is one of the Latin American countries which has seen a growing feminisation of agriculture. 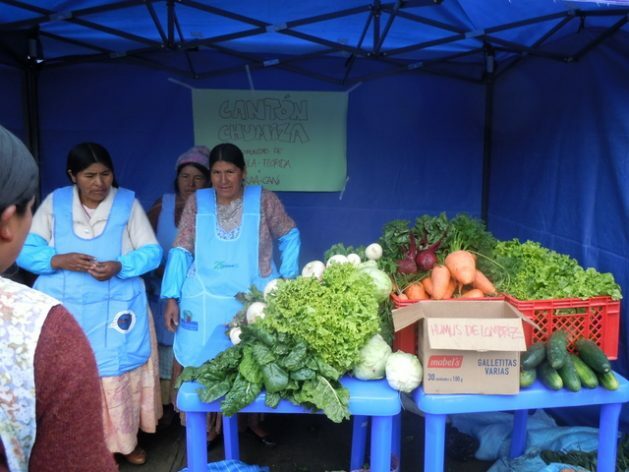 “These women produce about half of the food we consume in the country,” said Wilfredo Valle, head of the planning area at the Bolivian non-governmental Training and Service Center for Women’s Integration (Cecasem). Speaking with IPS from La Paz, he added that despite being pillars of production in the countryside, they do not receive remuneration. And when they do generate an income, they have no say in the family budget, which is still controlled by men. This situation is an obstacle to break the circle of poverty. Added to this problem is the unequal access of women to land ownership and use. The region’s statistics show that the lands they manage are smaller, of poor productivity, and legally insecure. The Third National Agricultural Census of Ecuador records that 45.4 percent of farms are headed by women, and 62.8 percent of these are less than two hectares in size. This inequitable trend in access to and control of productive resources is also evident in Peru, where, according to official figures, rural women are in charge of lands of 1.8 hectares in size on average, while the average size of the farms managed by men is three hectares. How to make progress along the path of addressing the complex web of discrimination faced by rural women? For Ketty Marcelo, from the Amazonian Asháninka people and president of the National Organisation of Indigenous Andean and Amazonian Women of Peru, they must first be recognised as subjects entitled to rights. “The countries in the region must acknowledge our existence as rural indigenous women and take measures to ensure that our rights are respected…And in order for that to happen, we must break down the barriers of patriarchy,” said Marcelo, an activist from the community of Pucharini, in Peru’s central rainforest. In her view, the 2030 Agenda for Sustainable Development, with its Sustainable Development Goals (SDGs) and the targets included within them for achieving gender equality, is a mandate for the countries, but is also a double challenge for rural women in the region. “We are invisibilised and a great deal of advocacy will be necessary in order for our problems to come to light; the SDGs are an opportunity to place our agendas into national policies,” she said. Latin America and the Caribbean, considered the most unequal region in the world, has the Regional Gender Agenda for 2030, established in 2016 by the Economic Commission for Latin America and the Caribbean (ECLAC). It is also in agreement with the SDGs and, through the fulfillment of its 10 core targets, puts gender equality at the center of sustainable development. Although there is an international normative framework in the region that has given rise to national plans and policies aimed at achieving precisely the SDGs on gender equality, actions to make this human right of rural women a reality are urgently needed, experts agreed. “The 2030 Agenda gives countries the opportunity to empower girls and women, eradicate illiteracy, secure them title deeds and loans, to develop their potential, rise out of poverty and fully exercise each of their rights,” said FAO’s Rojas. A mixture of political will and strengthening of institutional capacities that would transform the lives of rural women in the region, such as Bonifica Huamán and her daughter Alina, in Peru’s southern Andes, so that the enjoyment of their rights becomes a daily exercise.